Does he seriously have to ask? This week, David Valadao’s government office sent out an email soliciting input on Trump’s “zero-tolerance” border policy that separated children from parents. Valadao’s been tainted by Washington if he truly needs a survey to tell him that Central Valley families are disgusted at the idea of ripping kids away from their families. If you can’t call out cruelty when you see it, you don’t belong in Congress. We need to hold this President accountable, and it’s time we had a representative that understand our values. Can you sign on to our letter telling David Valadao how we feel about his inaction? A new poll shows our campaign has a clear opening to win, and we’re setting a $10,000 goal before the end of quarter on June 30 to ensure it happens. Our plan to win in November begins right now. While Kevin is on the front lines of our current immigration fight, as finance director, I’m making sure that we have the resources we need to run the kind of general election campaign Californians deserve. According to a new LA Times Dornsife poll, Senator Feinstein is only receiving 36% of likely voters’ support, even after spending $5 million in the primary. The California electorate is clearly questioning whether the status quo in Washington, D.C. works for them. They want to elect someone who will move policies in D.C. that benefit everyone, and Kevin’s message is clearly resonating. That’s why I’m setting a goal for raising $10,000 before the end of quarter on June 30th — please chip in what you can afford to help us get there. Our country’s current immigration debate crystalizes why we must send Kevin to the US Senate. California must be at the heart of our national progressive movement, and it needs a Senator like Kevin — who has lived and breathed our values — to ensure it gets heard in Washington. This end of quarter will shape the future of our campaign. I hope I can count on you to chip in. Councilwoman Soria Secures Two Bike Patrol Officers for the Tower District! 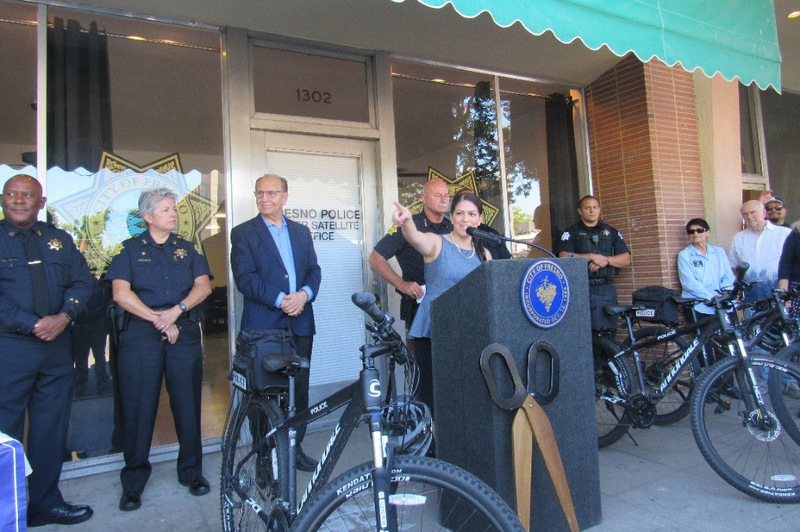 (Fresno)- After 3 years of negotiating and advocating to keep our communities safer, Councilwoman Esmeralda Soria, rallied unanimous support of the Fresno City Council to dedicate two Fresno Police Department Bike Officers to the Tower District. Chief Dyer stated the bike units will be reporting for duty effective Sunday, July 1, 2018. Councilwoman Esmeralda Soria represents Fresno City Council District 1, which includes the Tower District, Fresno High and communities as far north as Shaw which includes Inspiration Park west of Highway 99. It’s been another productive week for Your CDP Team. See below for a recap of this weeks activities. Organize! Organize! Organize! (And Get Hot At The End). That’s been a mantra of our compatriots in the Labor Movement for decades. And its a mantra we embraced last year when we began deploying organizers to the key battleground districts throughout California. We were on the ground almost immediately after Chair Bauman took office. By the end of the Primary, we had deployed almost two dozen organizers in key districts. Chair Bauman and Your CDP Team are incredibly proud of these successes. The hard work of our organizing team and our activists has made sure that California is in the best possible position to help take back the House for Democrats. “The images of children screaming and begging for their parents, locked up in cages like animals, will haunt our nation for generations just as those images of Japanese Americans locked up in internment camps continues to haunt us today. Trump is taking children hostage a tactic even the Mafia wouldn’t embrace. 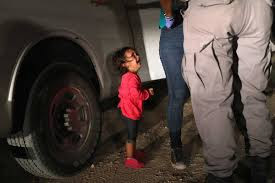 These photos will be remembered in the sad annals of American tragedies alongside the slave trade and the Trail of Tears for the disgusting lack of humanity they sow. Kidnapping children and using them as political pawns is un-American. It goes against everything this country is supposed to stand for. It’s appalling on every possible level, beginning with our morals and our faith. We must oppose this policy as vocally and forcefully as an earlier generation spoke out against slavery. 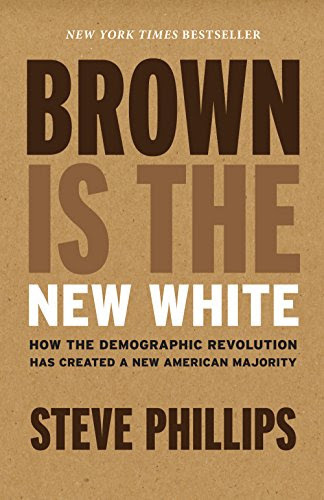 Dont miss Stephen Phillips, author of Brown is the New White, at our July Executive Board Meeting Luncheon. Hell be discussing the extraordinary demographic changes that are making a new American Majority. UPDATE: Tickets for the Luncheon have sold out. 136 days until the Election! At HOPE, we are morally opposed to the administration’s “zero tolerance” policy, which has resulted in the separation of more than 2,000 children from their parents at the Southern U.S. border. As a nation we have always protected the integrity and sanctity of family. The Trump Administration’s policy of separating children from their parents is cruel and un-American and must stop immediately. As an organization dedicated to the economic and political parity of Latinas and the health and welfare of families, we stand with the president of the American Academy Pediatrics – this abuse of children must end. HOPE is monitoring this rapidly-changing political situation and news has just broken that the White House may be drafting an executive action to stop family separations. We encourage the President to take this step. Our voices are needed now until there is an end to this devastating policy once and for all. We are committed to taking action and offer the following list of resources you can use to take action today. We hope you will join us. · Call your U.S. Senator: the government will bend to public pressure, make sure your representative know you will not stand for the practice of needlessly separating children from their parents. · March on June 30th: pledge to join #FamiliesBelongTogether actions around the country and in Washington D.C. Find an event near you here. · Register to vote and vote on November 6th for representatives who believe and uphold policies and institutions that protect migrants, refugees and asylum seekers. · Make sure your friends and family are registered to vote. Let’s make our voice heard. · Volunteer to help families or other detained immigrants through the Immigration Justice Campaign. · If you are an attorney, an interpreter, or fluent in a second language, call legal service providers to volunteer your services. Find a list here. · Find out how you can foster children in need of a safe, stable home through the United States Conference on Catholic Bishops or the Lutheran Immigration and Refugee Service. · Consider becoming a detention visitation volunteer. · Al Otro Lado is a binational organization that works to offer legal services to deportees and migrants in Tijuana, Mexico, including deportee parents whose children remain in the U.S.
· CARA—a consortium of the Catholic Legal Immigration Network, the American Immigration Council, the Refugee and Immigrant Center for Education and Legal Services, and the American Immigration Lawyers Association—provides legal services at family detention centers. · Kids in Need of Defense works to ensure that kids do not appear in immigration court without representation, and to lobby for policies that advocate for children’s legal interests. Donate here. · RAICES is the largest immigration nonprofit in Texas offering free and low-cost legal services to immigrant children and families. Donate here and sign up as a volunteer here. · Young Center for Immigrant Children’s Rights works for the rights of children in immigration proceedings. · The Kino Border Initiative which provides humanitarian aid to refugees and migrants on both sides of the border has a list of supplies they can use to help migrants and families staying in the communities they serve. · The National Immigrant Justice Center represents and advocates for detained adults and children facing removal, supports efforts at the border, and represents parents in the interior who have been separated from their families as a result of aggressive enforcement. · Donate to Immigrant Defenders Law Center, the only local organization working with shelters in California that have unaccompanied minors. As I’m sure you’ve seen, right now in America there are thousands of children who have been torn unnecessarily from their parents. Some parents have even been deported to their home countries while their children have been left behind, trapped in cages and hidden from view in windowless warehouses. Some children – even as young as 4 years old – are separated from the parents with absolutely no reassurance of when they’ll be reunited. At that age, the world is a strange and enormous place. Noises and smells we don’t recognize are frightening and overwhelming. Visual information is confusing and difficult to process – much of what we see we have never seen before. But our parents – they smell, look, and feel like home. We know them. Their voices lull us to sleep at night. This Administration has made it policy to tear the only comfort in a child’s entire world away from them and strand them alone in a foreign land. What’s happening here is criminal. It’s government-sanctioned kidnapping and child abuse. It’s unacceptable. It’s not normal. It’s vile, abhorrent, abusive, and goes against everything our nation stands for. The color of our skin, the language we speak, the flag we pledge allegiance to – it isn’t any of those things that make us human. No one should have to tick off the right boxes on a multiple choice test to be treated with humanity. This President and his Administration seems far too comfortable waging this war against defenseless mothers, fathers, and their children who approach our borders fleeing violence, persecution, and terror in their own country. Now we have audio clips of children crying for their mother or their father over and over and over and over and over again like they are hanging on to just those two words for dear life. Contrary to this President’s rantings and ravings about Democrats in Congress – there is one person with the power to fix this, and it’s Donald Trump. Call on the Trump administration to stop this heartless policy in its tracks. Yesterday, I listened to an audio recording of a group of immigrant children who had just been ripped away from their parents at the direction of the Trump administration. The children are sobbing, locked in a cage at a federal detention facility on the border​, and you can hear them scream the words “Mami” and “Papá” over and over again. As a parent, I listened to those tapes and thought of my children. As a child of immigrants, I thought of my parents, who came from the Dominican Republic to live in this country. I thought about someone separating me from my family. It tore my heart out. It’s hard to comprehend what’s going on in our country right now. It’s hard to comprehend the cruelty of the Trump administration policy that mandates the separation of children from their parents and has them locked up in cages like animals. So let’s be very, very clear about this: Donald Trump created this humanitarian disaster. He can fix it and allow these children to be with their families. He doesn’t need an act of Congress to do it, his administration can stop doing this anytime it wants. But even when confronted with the horror of their actions, Trump and his administration have chosen to continue separating children from their parents — and the Republican Party has chosen to stand behind Trump and has failed to act. What we do in moments like these define us as a country. We must show that the actions of this president do not reflect who we are. We must do everything in our power to defeat every single member of Trump’s party who stands by him while his administration rips families apart. BREAKING: Ivanka Trump just headlined a fundraiser in Fresno, CA (CA-21) that raised $3.1 million for vulnerable Republicans like David Valadao. We’re asking supporters to help counter this massive haul by chipping in to elect Democrat TJ Cox in CA-21. Not exactly the news we wanted to start our Tuesday with, Michael. One of the Republicans’ biggest fundraising nights of the election cycle just took place right in our backyard in Fresno, CA. Ivanka Trump headlined the fundraiser for the GOP’s “Protect the House” committee, which was specifically created to protect vulnerable targets like David Valadao from our blue wave. Politico reports she raked in a staggering $3.1 MILLION in the one-night event. We’re stunned. If we’re going to flip this California seat WE MUST prove that this blue wave is real by matching their deep-pocketed donors with our grassroots energy. Can you donate now to elect TJ Cox to Congress and send Trump’s loyal foot soldier packing? David Valadao knows he’s on thin ice for voting lock-step with Republicans’ backward agenda to destroy health care, give corporate tax breaks, and slash Medicare funding for his constituents. But he’s doubling down on his allegiance to Trump’s inner circle so he can access their cash and stay in power. Earlier this week I called on Kirstjen Nielsen to resign as Secretary of Homeland Security for a lack of transparency and for implementing a policy of separating thousands of children from parents along our border. Her numerous misleading statements, including denying this week that the government had a policy of separating children from their families at the border, are disqualifying. Can you add your name to my petition demanding Kirstjen Nielsen resign as Secretary of Homeland Security? Let me be clear: our government should be in the business of keeping families together, not tearing them apart. And despite what this Administration is saying, there is no law forcing them to cruelly separate children from their families. For that reason and more, Nielsen has lost the trust of the American people and must resign immediately. Sign here if you agree with me. As a father, I would never imagine that our federal government would forcibly and unnecessarily pull children away from their parents. But as you know, that’s exactly what’s happening. That’s why yesterday I sent a letter to the U.S. Department of Justice to make my strong opposition to its “zero tolerance” policy crystal clear. Along with attorneys general from other concerned states, I’m demanding that Donald Trump end his dangerous and heart-wrenching policy. If you know anyone who may have been impacted by the Administration’s inhumane action, please invite them to write me via Facebook here. Medical experts confirm it’s traumatic for thousands of children — with long-lasting consequences. The only word that even gets close to describing how I feel is: horrified. How any American President would direct such a cruel policy that contradicts our values is hard to comprehend. For Trump, this is a new low. Please help relay to families you know that I want to hear from anyone affected. The celebration of Juneteenth Independence Day is a reminder of the tremendous sacrifices made by African-Americans and people of conscience in the long struggle for liberation. Over 150 years later, with so many challenges facing African-Americans ranging from disparities in access to healthcare and economic opportunities to a criminal justice system that disproportionately impacts African-Americans, this Juneteenth is a solemn reminder of the work that remains to build the truly just and equal society. As we reflect on the hard-won abolition of the system of chattel slavery in the United States, one of the great moments of progress in human history, we must also be determined to keep pushing for dismantling the racist systems that replaced it. From structural inequalities in our economy that hold back black advancement to a criminal justice system that fills prisons with black and brown youth; from our education system that remains starkly separate and unequal to the inadequate and deadly lack of access to health care in our communities, the long march to freedom and justice must continue. The history of the Democratic Party itself is a history of this struggle. For more than a century, our Party was all too often on the wrong side of history, and even great Democratic leaders relied on support from open racists to win elections. The heroic work of ordinary men and women led by civil rights organizers like Fannie Lou Hamer broke the hold of segregationists and bigots on our Party. It is their work that made the Barack Obama presidency possible, and it is their example that we must follow today in fighting to ensure that Black Lives Matter. 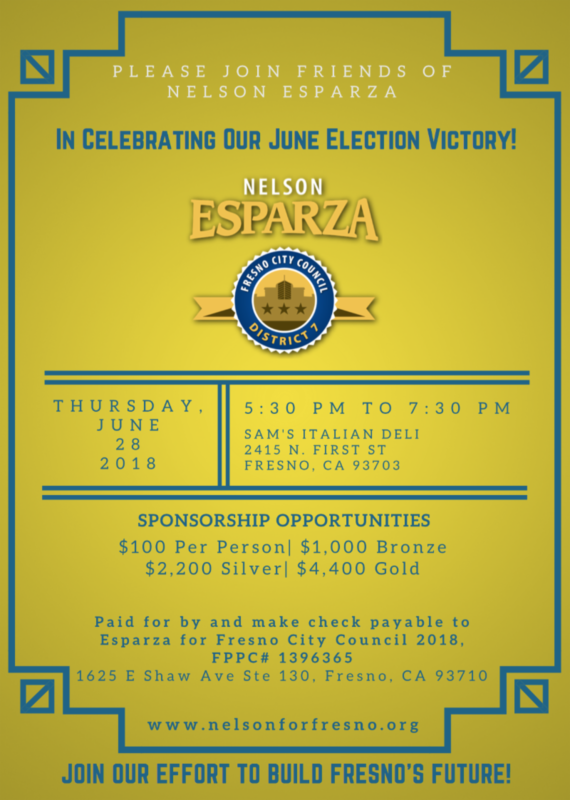 Join Trustee Nelson Esparza for a Summer Victory Celebration! We will celebrate a successful run in the June Primary Election and launch into the November General Election. It’s been another productive week for Your CDP Team. See below for a recap of this week’s activities. On Wednesday, Your CDP Headquarters was the scene of a phenomenal unity rally to celebrate Lt. 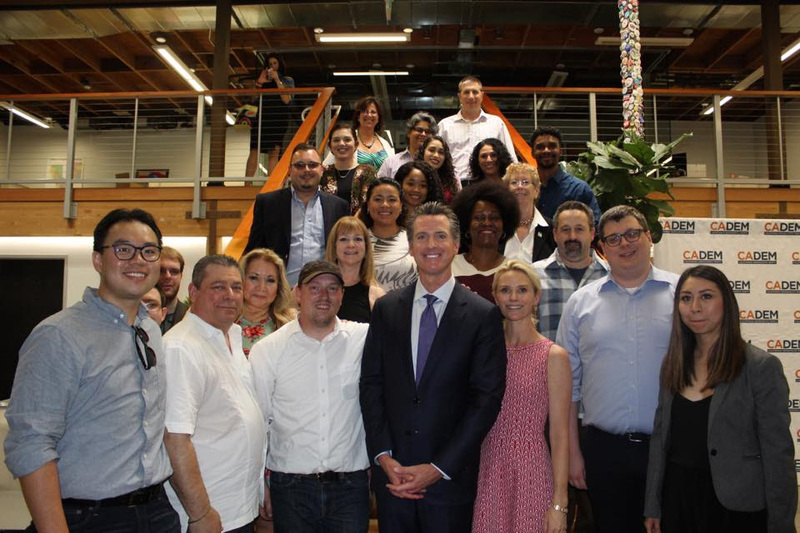 Governor Gavin Newsom’s leadership of our statewide ticket. CDP Chair Eric C. Bauman hosted the event, which featured remarks from Lt. 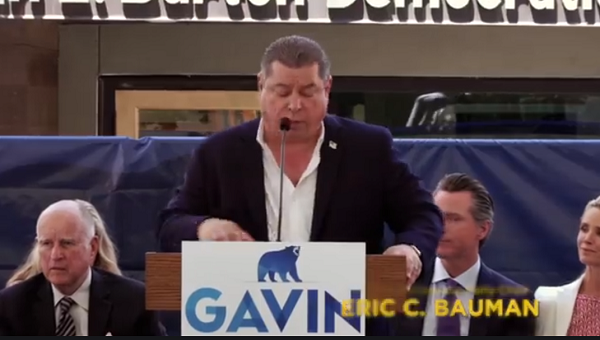 Governor Newsom, Senate President pro Tem Toni Atkins, Assembly Speaker Anthony Rendon – and a surprise guest, Governor Jerry Brown, who endorsed Lt. Governor Newsom in his remarks. We’re not gonna lie… Seeing these talented and progressive leaders on stage together was inspiring. This is the most diverse, most talented, and most accomplished Democratic ticket in generations. And we know they are going to lead us to our third consecutive clean sweep of statewide races in November. 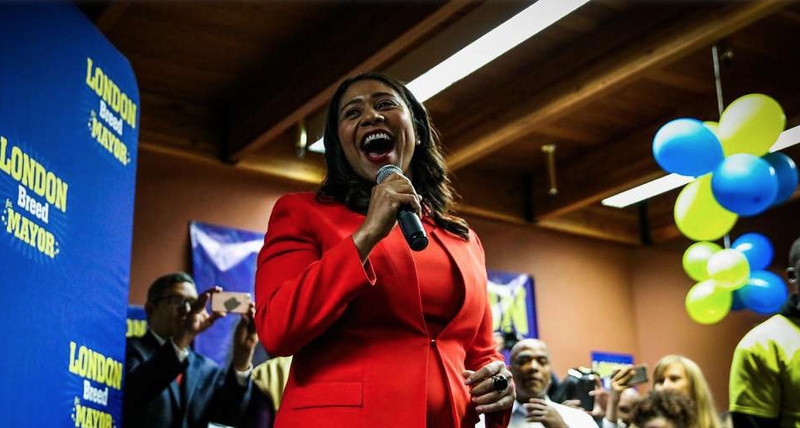 Your CDP Team is delighted to congratulate London Breed for becoming the first Black Woman ever elected Mayor of San Francisco. We are very excited to have such a talented and exciting Woman of Color leading one of the most iconic cities in the world. Congratulations, Mayor-Elect Breed! The 2018 CDP Post-Primary Endorsement Process Memo is now available – click here to read. Per CDP By-Laws, if a CDP-endorsed candidate in the Primary Election advances to the General Election in a race, that endorsement remains in effect (e.g we endorsed Tony Thurmond for SPI, and that endorsement carries over to November). Otherwise, the post-Primary endorsement process will be held in the manner outlined in the memo for Federal and State offices – U.S. Senate, State Constitutional Office, U.S. House, State Senate and State Assembly. Please note, the rules vary depending on whether one Democratic candidate advances to the General Election or two Democratic candidates advance to the General Election and neither candidate received the Pre-Primary endorsement. Yeah, we know it’s a little confusing – if you have questions, contact the CDP Political Department at 916.442.5707 or visit the CDP Endorsements page for more information. Bylaw Amendments for Consideration – Several bylaw amendments will be up for consideration at the July 2018 Executive Board Meeting. For a full list of amendments, please click here. Election of Officers Subcommittee Written Testimony – As a reminder, the CDP Rules Election of Officers Subcommittee welcomes written testimony and comments to update the procedures for the election of Statewide Officers and Regional Directors. The deadline to submit written testmiony is Sunday, June 24, 2018. Click here to access Rules Election of Officers Subcommittee Online Testimony Form. For more information on CDP Rules Committee, visit the Rules Committee page: www.cadem.org/rulescommittee. Waaaaaay back in terrible days of George W. Bush’s Great Recession, California had a bit of a budget problem (looking at you Schwarzenegger). In fact, at one point, the state was just a few days away from running out of money completely. And we had a $60 Billion deficit in a $120 Billion budget. The Hannitys and O’Reileys and Limbaughs, and the Tea Party, and Paul Ryan and Mitch McConnell, and the bigots, crooks and sociopaths who run the RNC, they all relished the fact that we were on the brink of tossing kids off CalWorks and and throwing poor students out of college. Such charming people, these Republicans. They compared us to Greece, and they predicted we’d fall into the Pacific any day now. And then Governor Jerry Brown, Senate Pro Tem Darrell Steinberg and Speaker John A. Perez got to work and proved them wrong. Not only did they pass a series of reforms to the state budget process that removed Republican chokeholds (like the supermajority requirement to pass a budget), the work they did to restore our finances improved California’s credit rating for the first time in decades. They passed three consecutive on-time balanced budgets that built up a real reserve and rainy day fund to protect us against the next Recession – all while expanding healthcare for 3 million previously uninsured Californians. 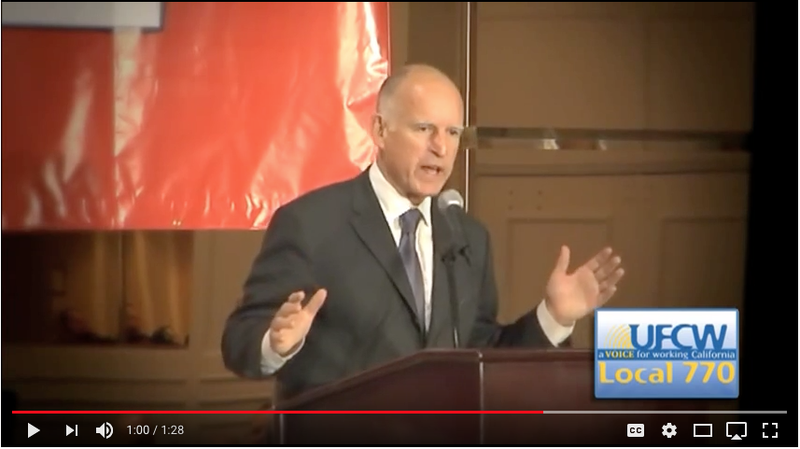 Later, as the economy improved and our finances fully recovered, Governor Jerry Brown, Senate Pro Tem Kevin de Leon and Speaker Toni Atkins passed three more consecutive, on-time and balanced budgets. The reserve continued to grow and our long-term debt continued to shrink – all while investing in college affordability, green energy, support for our veterans and building more affordable housing. Right now, Governor Brown is about to sign his eighth consecutive, on-time and balanced budget. This is an unprecedented accomplishment in California history, and Governor Brown, Senate Pro Tem Atkins and Speaker Rendon should be commended for making California the case-in-point of fiscal responsibility. But more importantly, they should be celebrated for passing a budget that speaks to our values and our beliefs as Democrats. Over $5 Billion in public transit, road repairs and other transportation projects. California is the gold standard when it comes to fiscal responsibility, and this budget proves that when Democrats are in charge, the government works for working people. Take some time next week and call and thank your Assemblymember and Senator for doing a fantastic job on this budget! We’re gonna miss the hell out of that guy. (And we look forward to his 5th term in 2046). Will you give just $5 to my Democratic campaign today? I just won my competitive primary and will go head to head with Devin Nunes in a matter of months. I’ve dedicated my life to protecting my neighbors. I’ve prosecuted gang members, career criminals, and would-be murderers. 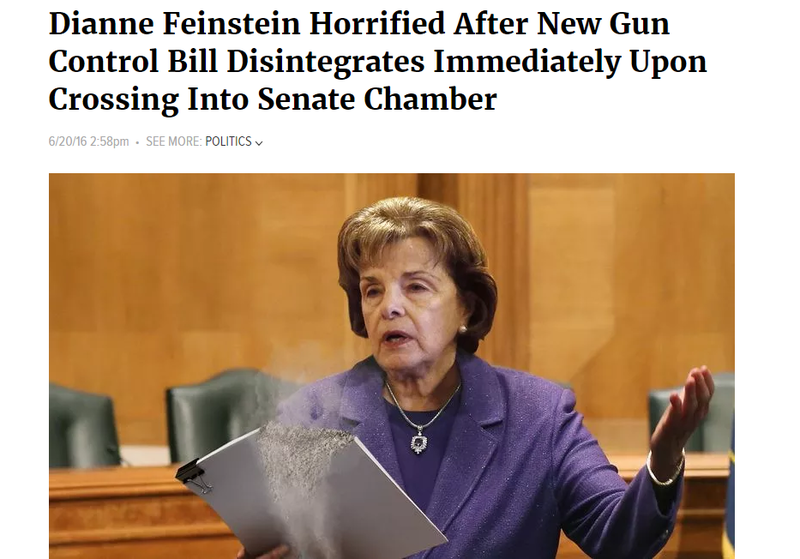 But just as our communities deserve to be protected from violence, we also deserve to be protected against the Special Interests attacking our country. So now, I’m ready to take on Trump’s most corrupt puppet: Devin Nunes. Listen, winning won’t be easy. Nunes’ ARMY of millionaire donors will do everything to stop us. I need you with me. Can I count on you to donate $5 to help me defeat Devin Nunes? I decided to run against Devin Nunes because he doesn’t care about helping the everyday people in our state. He only listens to the concerns of billionaires and Special Interests Groups. He only cares about saving Donald Trump’s joke of a Presidency. When I decided to run for Congress, I knew I wanted to run a fair campaign. That’s why I decided to reject all Corporate PAC money. Winning this race would send a SHOCKWAVE through the White House. So if we’re going to make this happen, I need your help Michael. Can you spare just $5 today? Press Release: Following CDP Unity Event, Chair Eric C. Bauman Announces Candidates for Lieutenant Gov. Sacramento – One day after a boisterous and hopeful unity rally at California Democratic Party (CDP) Headquarters celebrating the statewide Democratic ticket for the November General Election, CDP Chair Eric C. Bauman has announced an agreement between the candidates for Lieutenant Governor – Senator Ed Hernandez and Ambassador Eleni Kounalakis – to forgo seeking the CDP endorsement at the upcoming CDP Executive Board meeting in July. The agreement was reached between the respective campaigns with Chair Bauman’s participation, support and reinforcement to promote the spirit of unity around the Democratic ticket by jointly declining to seek the Party’s endorsement. The announcement will now allow the grassroots Democratic activists who comprise the CDP Executive Board to focus their efforts at the upcoming Party Executive Board meeting on ensuring victory for Democrats facing Republicans in November. As the two highest vote-getters in the Primary for Lieutenant Governor, Ambassador Kounalakis and Senator Hernandez are advancing to the November General Election ballot. The campaign for Lieutenant Governor is one of three statewide contests featuring two Democrats in November.